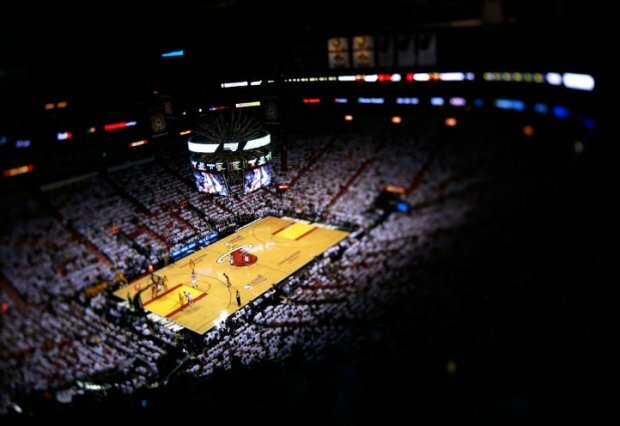 The Miami Heat will look to take a 2-0 lead in the Eastern Conference Finals Friday night when they host the Indiana Pacers for Game 2. Fresh off a dramatic, buzzer-beating win in overtime on Wednesday night, the Heat spoke Thursday of improving from a shaky-at-times performance. "We're going to play a lot better," Heat center Chris Bosh said. "We've come to expect that of ourselves. We know that yesterday wasn't the championship effort that we need in order to win the series, let alone win the finals. We're going to have to do a much better job on defense and on offense to take care of the basketball, do a better job on the boards, do a better job of containing some of their actions." Miami has plenty of areas for improvement following Game 1. The Heat gave up an uncharacteristically high 21 turnovers, 7 more than their regular-season average. Miami also got whistled for 28 fouls, well above their 18.7 average during the regular season. "We can get better," LeBron James (who earned his ninth career playoff triple double on Wednesday) said. "I think both teams didn't play to the level that they're capable of playing at in Game 1. But both teams had a chance to win." Indeed, the Pacers held a one-point lead with 2.2 seconds to go in overtime. Had they covered James better in the final moments, they could have emerged victorious. Instead, James blew by defender Paul George for the game-winning layup. 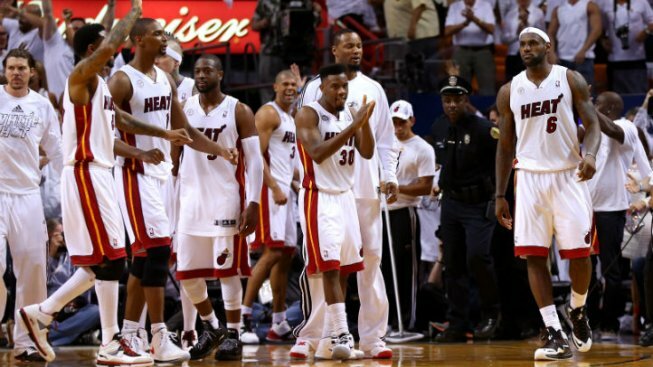 As is often the case, the Heat's mantra of continual improvement could be heard from both the players and coaches. "We have to push to get to another level," Spoelstra said. "It was a very competitive game. Both teams were laying it all out there but we're trying to push to another level that we think we can get to — and we'll need to in this series." Beyond the turnovers and foul trouble, Miami will also look to reverse Wednesday night's rebounding deficit. The Pacers pulled in 43 rebounds to Miami's 38, and the Heat want to take better care on the defensive glass. Indiana grabbed 17 offensive boards Wednesday, good for an astounding 44% offensive rebounding rate. It is tough to win when the opponent gets abundant opportunities for second-chance points. Additionally, Miami's three-point shooters have to reawaken. Shane Battier and Ray Allen were a combined 1 of 8 from downtown, while LeBron James was 2 of 6 from beyond the arc. Miami's offense works better when their sharpshooters are knocking down shots. Not only do they add points, but they free up James and Wade by forcing defenders to man the corners where Allen and Battier often camp. But the playoffs are a chess match, and thus far the Heat have proved to be more than capable of making adjustments between games. Unfortunately for them, so have the Pacers. If anything, Wednesday's back-and-forth affair only convinced Indiana that they have what it takes to knock off the defending champs. "I don't think you can say you're the better team when that team has done what they've done," Pacers coach Frank Vogel said. "But I believe we can beat them." Game 2 tips off at 8:30pm ET, with coverage on TNT.